It looks like the weed seed bank in my soil is finally down to a level I can work with fairly easily. 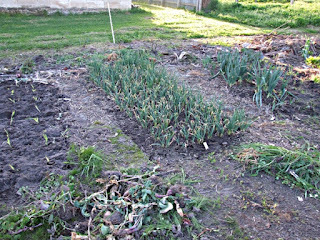 There are still weeds of course but not nearly as many as at this time of the year over the last three years. I dug up a heap (50) young asparagus (Argenteuil) seedlings from the isolation block and transferred them to a bed over at the farm yesterday (ignore the potato plant, lol). I am really pleased with their roots and new shoot/bud sizes. They should start producing spears for cutting in about 14 months. This is my favourite asparagus because it is both tasty and vigorous. Over the next year I will be planting half a dozen asparagus varieties to grow for seed and crowns, as well as the same number of rhubarb varieties. I am not sure there is a market for more commecial varieties but I am interested in them so I might find a market for differnt varieties in the home growing market, especially since there is so few varieties available. Like garlic, many people do not realise that there are many varieties around. They don't look much at this time of year when they are dormant but when spring comes they will be off like a shot. 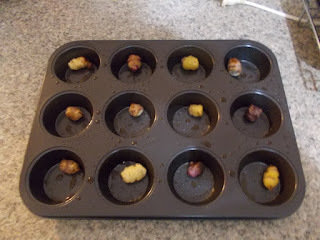 Yesterday I did a taste test of the new oca varieties. I baked a small tuber of each until soft and a little caramelised on the bottom, just a spray of cooking oil and no flavourings, not even salt. They were all so delicious that I wanted to eat more. Each got a 3/3 rating but they all had their own individual flavour. Some are sweeter than others, some are more tangy and others are more fluffy and starchy. 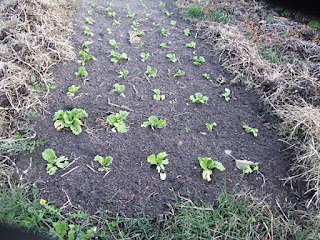 Winter is the time to think of starting your vegetable patch if you are a beginner. Because you can't really plant at this time of year, at least down here in Southern Australia, it takes away some of the eagerness to do things impatiently. 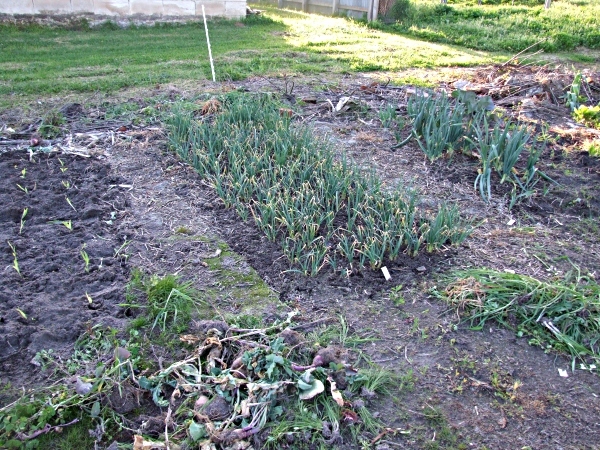 It is time to prepare beds for the coming spring instead. 1, Decide where you are to put your patch. 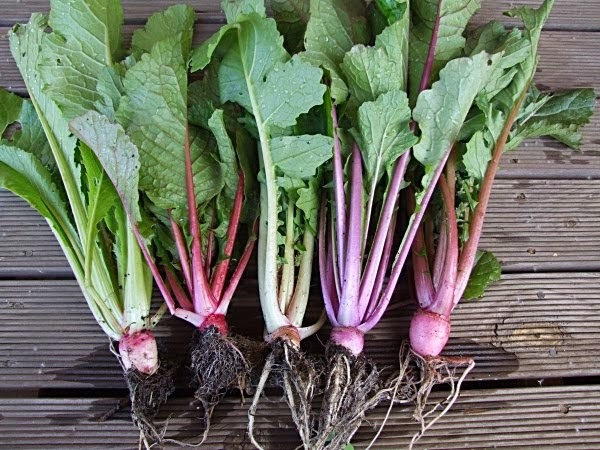 Although most vegetables prefer to grow in full sun, there are many that will grow well in part afternoon shade. Thing about not only the sun and shade pattern in your garden, but also nearby trees that may take moisture and nutrients out of the soil around them, and your soil itself - does it have bad drainage in winter, is it very sandy or clay? Of course, you may be able to change the location later if need be, depending on how much room you have. 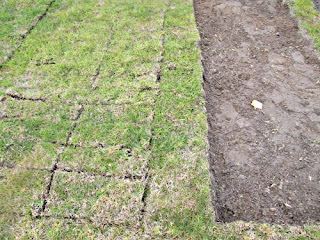 You should also make sure that your new patch is in an area that has easy access to a tap so you can water in summer. Now that you have decided where to place your new vegetable garden, how are you going to build it? Are you going to dig up some lawn and have it there. This is my preference because it is more forgiving, but may not be the best choice if you have clay or badly draining soil. 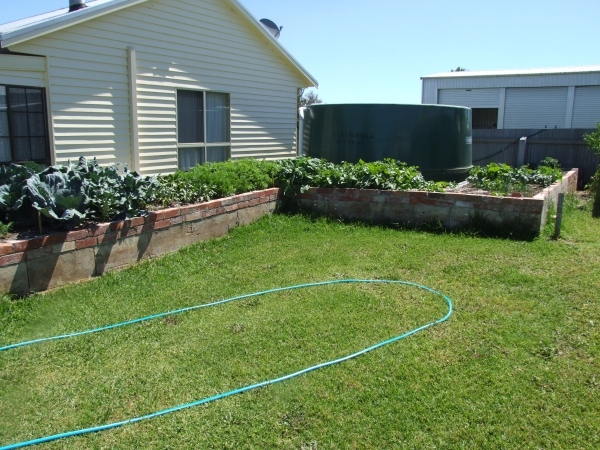 Will you have to build raised beds - great if you have a bad back and hate weeding, or do you only have room for large pots, and maybe a trellis to grow climbers on? 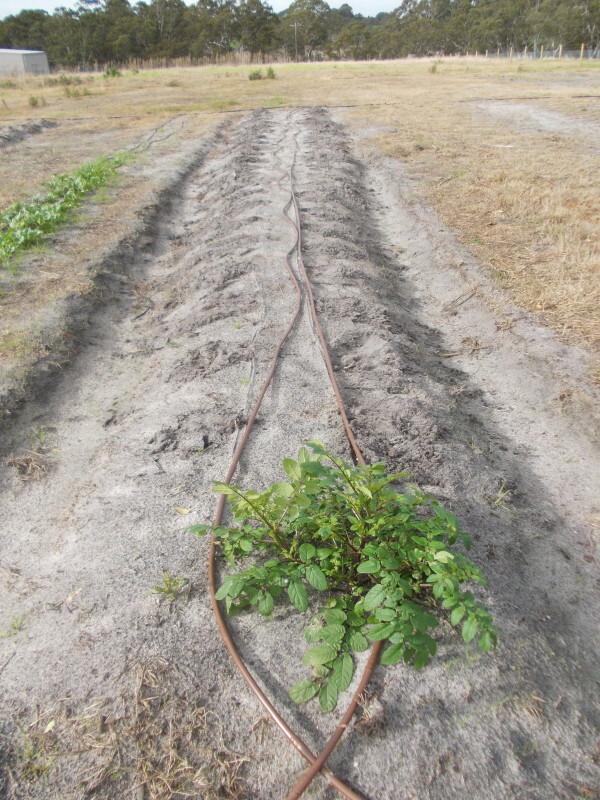 Do you have to build a wall for wind protection, or design an irrigation system. This should be thought of before you actually start digging. It might be a bit controversial but if you have running grasses then I suggest that you spray it with Glyphosate and start with a clean slate. Trying to remove running grasses like couch is not only difficult but you are forever fighting with it. 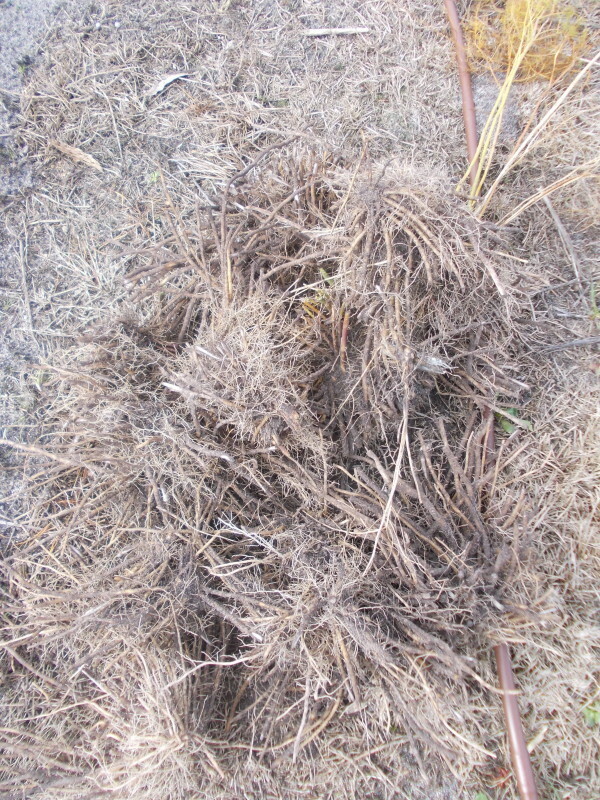 Other grasses and weeds can be tackled by hand more easily. 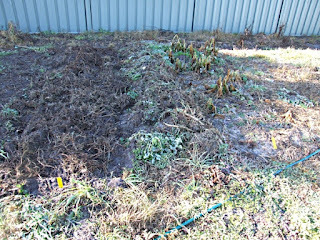 After digging you should be able to remove larger weeds out of the loose soil easily. 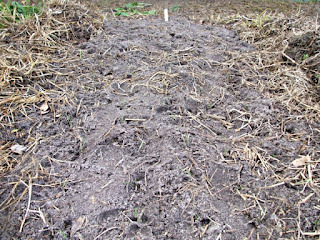 Now that your soil is bare, lay on a good helping of lime (if your soil is not alkaline) and manure, and maybe some blood and bone. Get to work digging it in. 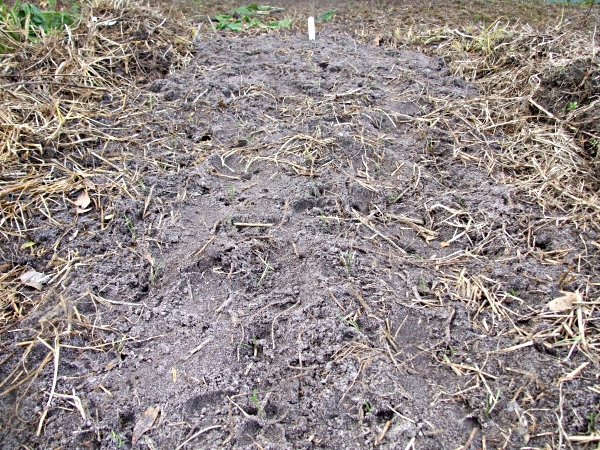 Even if you plan to have a no-till garden, you will still need to do this initial digging to loosen the soil. Some people don't, but I have found that an initial digging works best for me. After turning it all over well, weed any remaining weeds out and layer on a thick mulch of pea straw, lucerne hay, or sugarcane mulch. I would also sprinkle on a good amount of a high nitrogen fertiliser over top just before it rains, like chook poo pellets or commercial lawn fertiliser. The nitrogen will help bacteria break down the mulch to add more organic matter into the soil. This is the hard part. Make sure you check every now and then for weeds and keep it as weed free as you can over the winter. I like to remove any remaining mulch off the beds before planting as mulch tends to harbour nasty pests that will eat your seedlings. When your plants are more mature you can move it back under the larger ones to keep the soil moist during summer. Move it to the side and rake your soil flat. It should look nice and soft at this stage. Don't be tempted to plant too early, you have plenty of time. I like to wait until early to mid October when the risk of frost has passed before planting anything. Weeding is a continuous chore, but if you keep on top of it regularly it doesn't take much work to keep the beds clear of them. If you leave the weeds because you think they are small or not many, then one day you will take a look and your patch is over-run. This can lead you to give up. 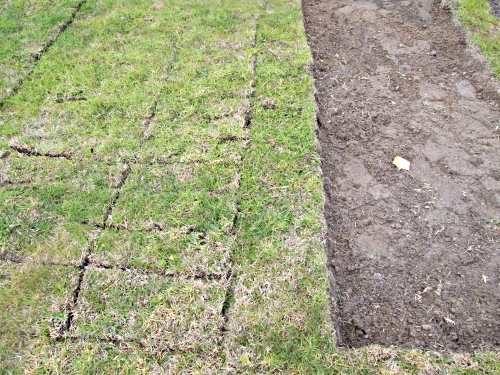 Keep any weeds and grass down between your beds, or cover the pathways with wood chips.